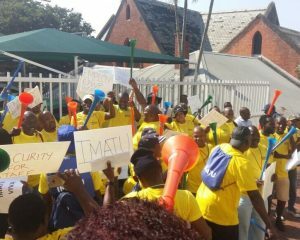 Independent Municipal and Allied Trade Union (IMATU) Shop Stewards will be picketing outside the South African Local Government Bargaining Council (SALGBC) in Berea, Durban, today. “Numerous requests to meet with the newly elected Municipal Management team to discuss our growing concerns have gone ignored. IMATU has maintained a good working relationship with the previous eThekwini Mayor and Municipal Manager and cannot understand why the incoming leadership would wish to start their tenure along such adversarial lines. As the majority union in the eThekwini Municipality, IMATU must be consulted when making decisions that directly affect our members,” stated IMATU President and eThekwini Regional Chairperson, Stanley Khoza. • The continued failure to adequately consult with IMATU before making decisions that directly affect its members. • The wilful delaying and subsequent deadlocking of negotiations around the payment of Group Life and Conditions of Service. 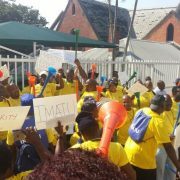 “As the majority union operating in the eThekwini Municipality, IMATU calls on the employer to return to the negotiating table in order to meaningfully engage around the issues raise. We believe in building a sustainable local government however, this commitment must be met by the necessary political will,” concluded Khoza.